Know How The Invisible Fence System Works: An Invisible Fence uses underground cables and a signal collar to establish boundaries that keep your pet within your yard or from certain areas of your home. If your pet approaches the boundary, a radio signal is transmitted from the cable to your pet's collar, and the collar generates a warning beep. If the beep is ignored, the collar provides a gentle static correction to remind your pet that the boundary has been reached. Mark The Boundaries: Give your pet visual cues to indicate boundary limits. Some pet containment systems provide white flags that serve as helpful markers. As your pet becomes familiar with the system, these markers will no longer be necessary. Use A Leash: If you're using a pet containment system to keep your dog from straying outside your yard, start by keeping him on a leash when he's out in the yard. If you notice him approaching the boundary, call him back, and offer praise when he responds. At that time, take him for a stroll around the yard and allow him to hear the warning beeps and experience the static correction if he ignores them. This will help establish the boundaries and make it clear that there are consequences for disregarding them. A well-trained pet is easier to live with and is better able to keep himself safe from harm. Invisible Fence of Newtown offers dog fence systems that can help you train your canine companion in the most humane way possible. 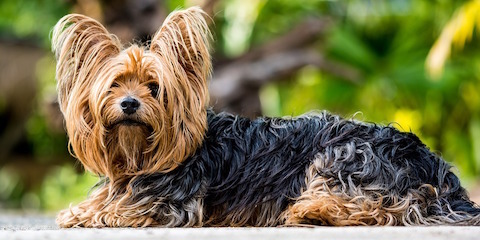 Though these systems are gentle, they are also incredibly effective, and the company has a 99.5% success rate regardless of the dog's size, breed, or temperament. Learn more by calling (888) 429-2421, or visiting the company online.